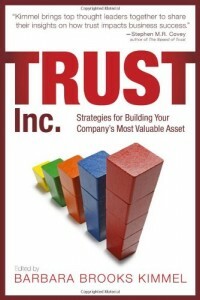 Trust Tip 32: Answering “Why Should We Choose You? Why should we believe you’re different from all the others? When a client or customer asks that question, many things are going on. On the emotional front, “Why should we choose you?” is almost always spoken as a challenge—an aggressive act, an invitation to spar and to prove your worth. Which in turn means the presumed relationship is combative or competitive. On a purely logical level, the question is about differentiation. Furthermore, it presumes that the answer can be given verbally, in a few sentences. And finally, it’s a sucker’s game. Think honestly now: when was the last time you heard a seller answer that question so well that the customer sat back and said, “wow, that really is great! I guess you’ve got the job!” The truth is, people don’t buy because of differentiation—they buy because you can solve their problem. So—what do you do with a combative partner who’s challenging you to a duel using weapons of his choice, and that he will disavow no matter how well you play? The answer is, opt out of the game. Don’t meet fear with fear; don’t engage in a competition; don’t accept that one-liners and differentiation are the real agenda. Instead, respond with direct truth and client focus. “Why should you choose us? At this stage, I don’t know why; it would be arrogant of me to claim I do know. In fact, it’s even possible that you shouldn’t choose us. It depends on some key questions, which I’ve brought along to discuss with you. “But first, to answer the spirit of your question, 74% of our customers tell us they chose us for one of two reasons. 53% said it was because of our after-sales service. The other 21% cited ease of integration. Those were the main reasons our customers gave. In responding this way, you first acknowledge an obvious truth—any blather about why a brand new customer should buy from you is nothing but BS anyway, and even if it were true, would be utterly unconvincing. So—tell the truth. By answering the customer’s question literally—what are the reasons they should buy from you?—you show respect. By offering actual answers to the actual question, you validate the customer’s question, and show you have real data to answer it. (BTW—I hope it goes without saying you actually do need real data). By offering to engage in discussion, you indirectly state the only way customers make serious decisions—by engaging in dialogue. So—tell the truth and start the dialogue. Finally, by seriously entertaining the proposition that your service may actually not fit 100% of the customers out there, you get points for speaking the truth, and save both you and the customer and lot of cost and pain trying to pretend otherwise. When asked, “Why should we buy from you?”—tell the truth. 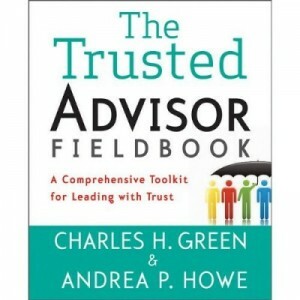 http://trustedadvisor.com/public/trusted_advisor1.png 0 0 Charles H. Green http://trustedadvisor.com/public/trusted_advisor1.png Charles H. Green2007-02-14 11:00:002007-02-14 11:00:00Trust Tip 32: Answering "Why Should We Choose You?